Despite the difficulty in forging a regional response, helpful conversations are ongoing. Over the past few months, governments and publics around the world have been grappling with the rising challenge of so called “fake news” – often used to refer to the distribution or publication of misinformation. Though this trend (and even the term) are by no means new, Donald Trump’s victory in the U.S. presidential election last November and Britain’s exit from the European Union (“Brexit”) have highlighted the extent of the challenge. Asia has not been immune from this. 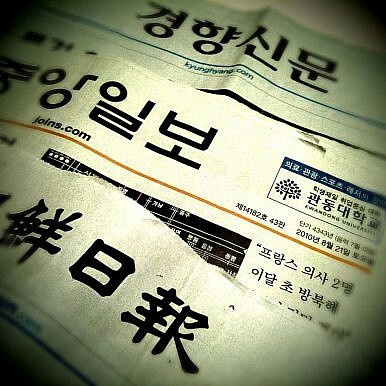 The run-up to the South Korean presidential election and the Indonesian gubernatorial elections this year were filled with fake news, causing both governments to mull measures to clamp down on the trend. And a string of episodes have also exposed worries about the extent to which fake news can potentially have an impact on the real world, including an incident last December where a hoax story led to threats of nuclear war between Pakistan and Israel. If you talk to Asian officials, it becomes clear that governments are already taking steps domestically to manage the challenge and have been sharing their experiences with each other. But at the same time, given the magnitude of the challenge as well as the diversity of these countries – on a range of indicators from their regime type to their media environments – it is difficult to coordinate responses across borders even if this is admittedly an important component of any successful approach. Though a coordinated regional or even subregional approach remains far from a reality today, we are seeing the challenge being actively discussed and debated in regional and international fora, whether as part of ongoing regular media or strategic conferences or as standalone meetings on the subject itself. That is useful, because any response will require the involvement of various stakeholders including companies, media organizations, government agencies, and civil society. From June 19-20, The Straits Times and the World Association of Newspapers and News Publishers (Wan-Ifra) organized another one of these conferences on confronting the fake news problem. The two-day conference, held at Singapore Management University and entitled “Keep it Real: Truth and Trust in the Media,” brought together nearly 200 policymakers, media practitioners and technology experts to examine both the rise of misinformation as well as regional initiatives to fight its spread. Though forging a regional response is still in its early stages, the conference did offer some useful insights into what might be done, with more than 20 outcomes emerging from three discussion groups held. For instance, in terms of detecting and debunking fake news, according to The Straits Times account of the proceedings, members of the Asia News Network – a regional alliance of 22 media organizations – will share with each other a list of websites that actively spread misinformation along with content produced by each member to debunk fake news. They will also form special project teams to cross-check information on sensitive issues, such as terrorism or the South China Sea. Other broader proposals floated included boosting media literacy by making this a key part of the education curriculum, setting up a regional task force to verify rumors in major events such as elections, and forming independent regulatory bodies separate from the government to act on perpetrators of fake news. There has been skepticism about similar measures mulled by others before on various grounds, whether it be technical issues such as coordination and resourcing or more strategic concerns such as the level of government intervention. Fashioning a response is also bound to be an uphill struggle given the speed and ease with which fake news is spread, with trends like political polarization, technological change, the fragmentation of the media industry, and the increasing manipulation of the cyber domain by foreign governments only making things more difficult. But it is certainly encouraging to see the region talking more about a challenge that is likely to get worse before it gets any better. Where is Singapore in its War on Fake News?No Silver Bullet for Fake News in a New MalaysiaWhat’s in Singapore’s New Anti-Fake News Bill?Fake News in India and Indonesia's Elections 2019What Lies Ahead for Vietnam’s New Cyber Law in 2019?